All who knew Carole VanderWall would agree that she was an incredibly positive person no matter the circumstance. She was fun, loved her church and family, could make a game out of anything and never complained. She had the amazing ability to make the ordinary extraordinary and memorable for her children and grandchildren. Although life was not without struggles for Carole, she faced whatever came her way with both grace and courage that were rooted in her faith. Deeply loved, she will never be forgotten. Carole Jean was born to Harold and Wanda (Meyers) Gundersen at their home on Dale Avenue in Muskegon, Michigan on November 18, 1938. She was their second child, joining her older brother, Harold Jr. At a fairly young age, they moved to a home on the corner of Henry Street and Seminole Road in Norton Shores. There, they had a large garden and chickens. 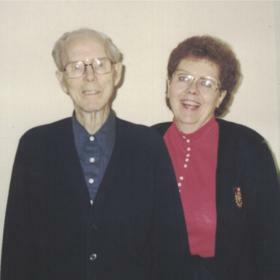 Carole’s father worked in accounting at the Norge factory. Carole’s mother was a seamstress. Carole was raised in a close-knit, Christian family. 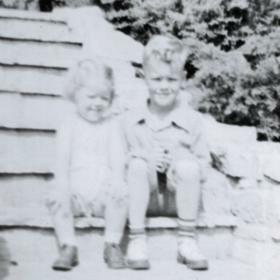 Her mother was a twin (Wanda and Monda), so Carole and Harold were raised very closely with their cousins Rosemary and Jim. She and her cousin, Rosemary, could often be found fishing or having some other sort of adventure. Their family fishing rule was that whomever caught the first fish was the one responsible for buying ice cream! Carole also liked playing school as a child, and from a young age she had her heart set on becoming a teacher. As a student she attended Maple Grove Elementary then Muskegon High School, graduating in 1957. From there she followed her brother to Michigan State University, earning a teaching degree in 1961. 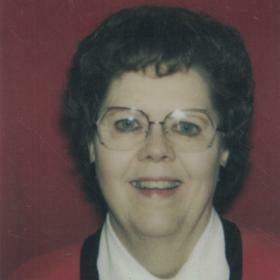 With her education behind her, Carole returned home and took a teaching job with Muskegon Heights Public Schools (1961-1964). Carole met her future husband Bernard “Bernie” VanderWall at a young adult group at Central United Methodist Church. They found they had a lot in common as they were both church-goers, and graduates of Muskegon High School and Michigan State University. With a desire to spend the rest of their lives together, they were married over spring break in 1964, honeymooning at the YMCA in Chicago. The newlyweds initially settled into an apartment on Park Street. Later, they moved to Spartan Village while Bernie finished an advanced degree at Michigan State University. Their final move was to a home on Lawnel in Norton Shores where Carole would live for the rest of her life. Carole and Bernie were blessed with three children. Mark was born in 1966. He lived for a time with them in Spartan Village. Beth was born in 1969, and Paul in 1971. Carole took time off from teaching to raise her young children. Sadly, Carole lost her husband Bernie, in March of 1979 after a short battle with cancer. She managed to stay home raising her children making ends meet with only Social Security, until she returned to teaching in 1987. Carole never remarried after Bernie’s death. She put her focus on her church, family, and friends. In 1987, Carole returned to teaching. 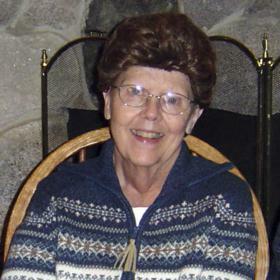 Carole taught in the Muskegon Public School system including Phillips, McLaughlin, Nims, Glenside, and Nelson Schools until retiring in 2000. Carole primarily taught kindergarten and first grade as well as leading the HOSTS (Helping One Student To Succeed) program at McLaughlin School. She had a true passion for teaching and touched the lives of many students. In everything she did, Carole made life special for her loved ones. While her children were growing up they enjoyed spending time together as a family, especially on vacation. There were memorable vacations to Clearwater, Florida, to visit her parents each Christmas until her children were in junior high. Mark, Beth and Paul still recall the times the family spent staying with their grandparents at “Top of the World,” and while there visiting places like Disney, Busch Gardens, and SeaWorld. Closer to home they enjoyed camping in a big canvas tent at Interlochen and Silver Lake among other state parks. When grandchildren came along, Carole felt even more blessed. She loved having everyone all together. Countless hours were spent playing games with family. Her Easter egg hunts were legendary. In fact, these were so fun that Carole’s grandchildren are still participating in them well into their twenties! Birthday presents for her grandchildren were often an adventure as she wrapped them in a box within a box, continuing this pattern until the gift (likely cash for teens) ended inside something unpredictable like a pen or a bandaid. Carole planned scavenger hunts for her grandchildren where one clue led to another clue to another clue to a treasure. There were many other family traditions. Carole celebrated seventeen New Year’s Eves (2001-2017) at a hotel in Hart with the family, thirteen Memorial Day weekends camping at Springhill Family Camp, Thanksgiving was spent at her brother Harold’s fruit farm, Fourth of July reunions at her cousin’s home in Whitehall and plenty other family gatherings and celebrations. Throughout her life, Carole was one to keep busy. She loved spending time in her flower garden and playing the piano. She also had a camera in her hands more times than not. She loved capturing family memories and put countless hours into making scrapbooks for each of her adult children. Carole liked attending concerts with friends, “Lisa’s Yoga”, and traveling. Carole’s monthly Canasta group with family and friends was very important to her. She greatly enjoyed the fellowship of being together. 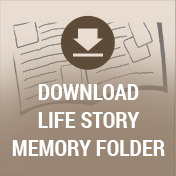 Church played a significant role in Carole’s life. Her father was there for the laying of the cornerstone of Central United Methodist Church in 1929. She was an active member there her entire life. She sang in the choir from a very young age and traveled to Europe with them, singing in various churches. It was her faith that carried her through the difficult times. She faced cancer over a period of 32 years. She was a young widow, with children in middle school and high school, when she was first diagnosed with breast cancer. The breast cancer returned in 2004. She next fought bone cancer in 2012 and then bravely fought brain cancer after being diagnosed April 2017. Throughout her cancer battles, Carole never complained. Even as her body was failing, she relied on strength and comfort from God. With unending love and compassion for those around her, Carole VanderWall lived a life of purpose. In many ways she was a kid at heart who found joy in everything she did. Carole treasured time spent with family. Life will never be the same without her here, but she leaves behind a legacy that her loved ones will cherish. 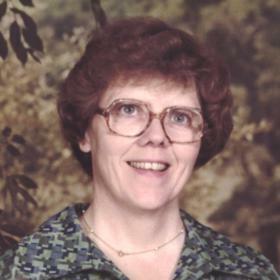 Carole J. VanderWall, of Norton Shores, MI went to be with her Lord on Tuesday, May 30, 2017. Carole is survived by her three children, Mark (Bonnie) VanderWall, Beth (Brian) Boersma, Paul (Jennifer) VanderWall; and eight grandchildren: Jake, Alex, Ryan, Sara, Grace, Matthew, Tommy, and Kate; one brother: Harold (Eloise) Gundersen; siblings-in-law: Joel (Kay) VanderWall, Marv (Carol) VanderWall, Joyce VanderWall, and Gordon VanderWall and many nieces, nephews, and cousins. Carole was preceded in death by her parents; husband, Bernard VanderWall; brothers-in-law, John and Winston VanderWall; sister-in-law Cheryl VanderWall. Services will be held on Saturday, June 24, 11:00 a.m. with visitation one hour prior to the service at Central United Methodist Church with Rev. Mark D. Miller officiating. Interment in Lakeside Cemetery. Memorials can be made to Central United Methodist Church.